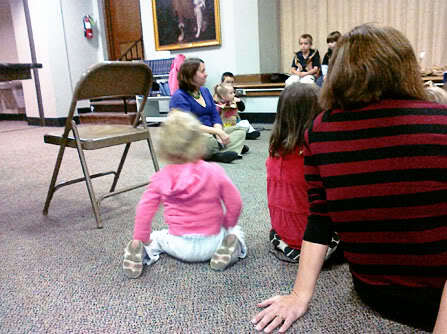 Today there was a potluck dinner in the church basement for the preschool through first grade classes. I would have brought my Rebel if I had known the kids were going to sing a song before we ate. 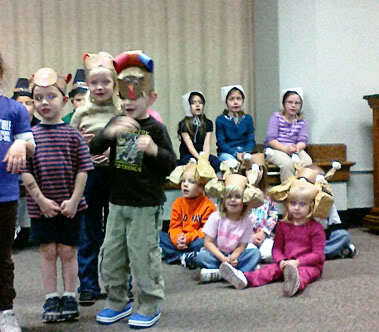 Nathan is in the preschool 4 class, and they were all turkeys. I must say, Nathan made a great turkey. Gobble, gobble! 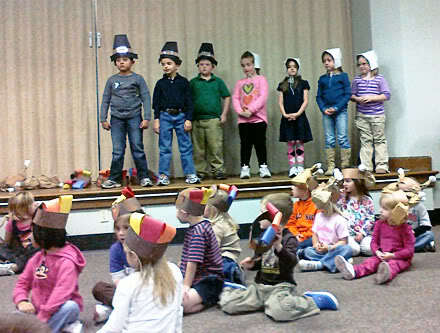 This isn’t a very good picture, but the preschool 3 class had turkey legs on their hats! So funny! 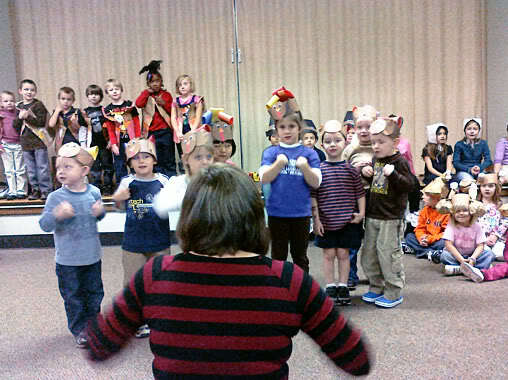 Here is another photo of some of the other classes. It was a fun night to get to know some of the other parents better, and I made a corn casserole for the first time! Yum!